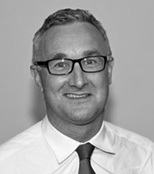 Simon Moss has extensive leadership and entrepreneurial experience in banking and financial technology. He was most recently a Managing Director at Grant Thornton responsible for FinTech in the Americas. He was Founder and Chief Executive Officer for Mantas Corporation, leading the company to become a market leader in global anti-money laundering and compliance technology, as well as to its sale to Oracle for $127 million in cash. Other experience includes founding the IBM Risk Management Practice, Partner at PWC, and involvement on multiple Technology Company Boards of Directors.